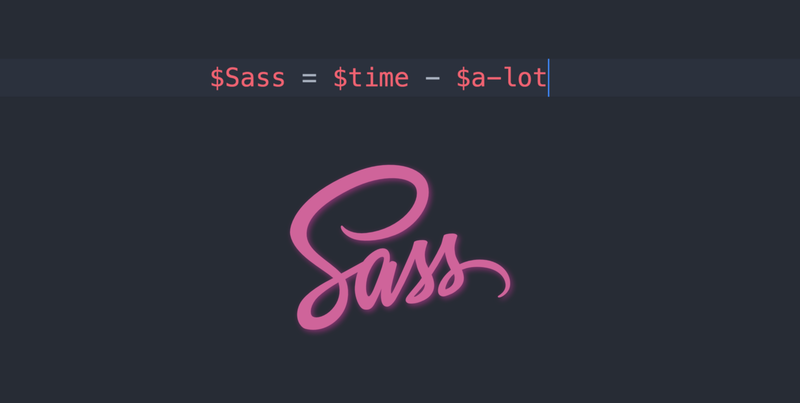 Why SASS and what is it? simply this is the problem which SASS came to solve it. SASS (Syntactically Awesome Stylesheets) is a pre-processor for CSS which introduces to you programming logic in a style dress that’s amazing right! Nesting is one of the most important features of sass it let you nest CSS selectors inside each other. 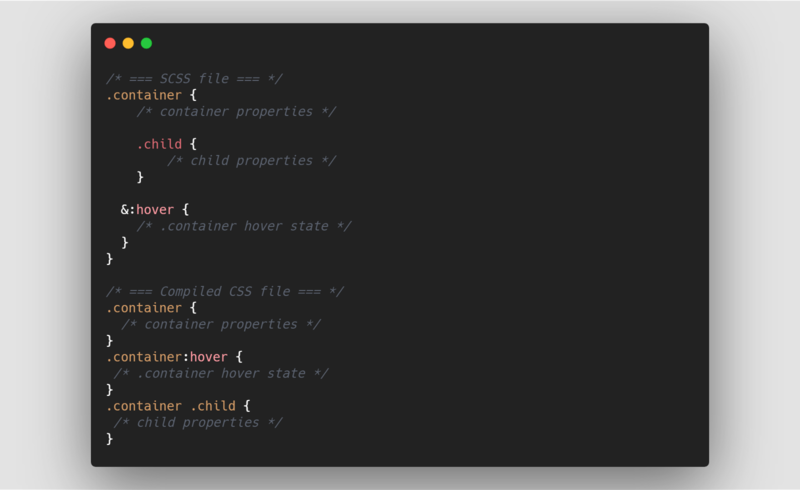 like you observed in the above example CSS with nesting looks like HTML hierarchy which makes more sense, it’s clearly shown that (.child) element is inside (.container) element in HTML DOM tree. Best Practice: DON’T nest more than three levels. even CSS has its own variables (: root) but still sass variables have the power to go through some logic will cover that later. but for now, how could I define a sass variable? simply it starts with the dollar sign $ then followed by the variable name.